Illustration 149 in a row. Today I had one job paused and another one about to end. I spent most of the day watching Naruto after getting some work done. It's so distracting and I love to watch it all during a downtime. At the same time I feel guilty. I have a myriad of projects to do and people to see, network, gym, so much stuff. I am terrible at relaxing and just relaxing and I always feel a slight bit of panic when a job ends. Feels like I need to "top it up". Anyway, it is gym time and doing some illustration work tomorrow! Right now...am going to watch more of Naruto! 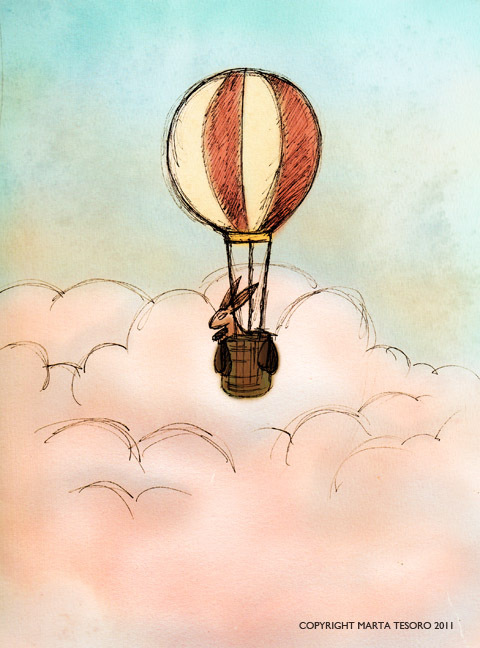 I love this image - I want to join him in the hot air baloon and just drift for an hour or two.